Download Bill & Ted's Excellent Adventure in Digital HD from the iTunes store. Bill & Ted's Excellent Adventure images are © Orion Pictures. All Rights Reserved. 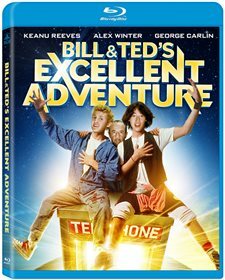 An instant classic back in the day, Bill & Ted's Excellent Adventure comes to Blu-ray for the first time. The witty little film starring a young Keanu Reeves has marked his career as an odd ball high school kid who plays a mean air guitar. Today, the movie still has a following from curiosity seekers and rightly so. 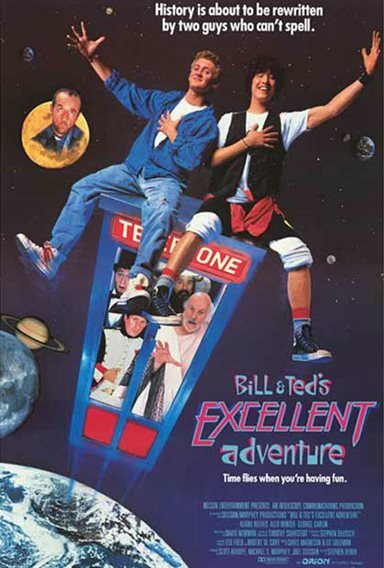 After all, you don't know far out comedy until you've seen Bill and Ted in their telephone booth time machine. The plot centers on Bill Preston (Alex Winter) and Ted Logan (Keanu Reeves), two radical high school dudes that are forming a rock band called The Wyld Stallyns. Neglecting their homework to practice, they find themselves failing history. To pass they have to do a bodacious good job on their final presentation. 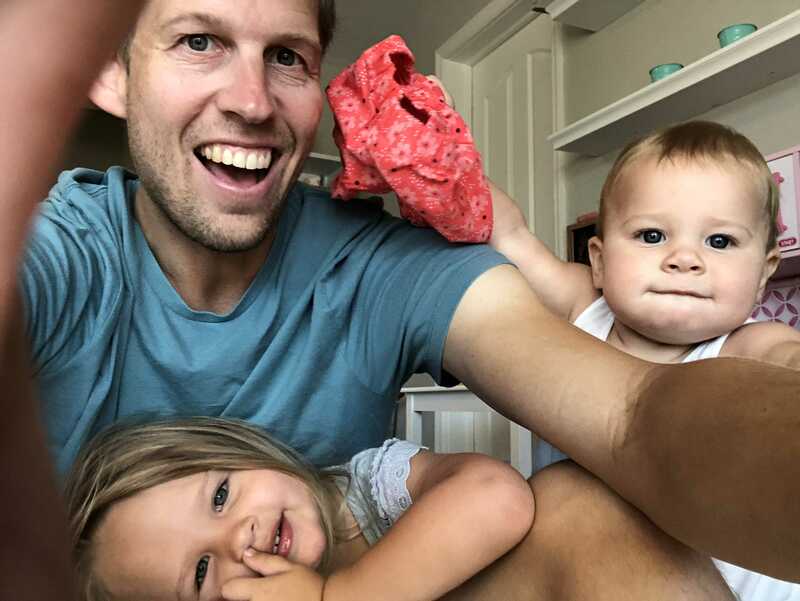 With Ted's father threatening to send him to Military School he's desperate to come up with a plan. Suddenly they get a visit from an angel named Rufus (George Carlin) who offers them a time machine to the past. With their backs to the wall they take a chance moving back in time to interview the likes of Lincoln, Joan of Arc, Freud, Gengus Kahn and many more. When they get back to the future however, they find themselves biography short. The amusingly dumb film challenges its audience to laugh at all the lingo and antics from the two wacky characters. Most of the interviews are so campy you'll find yourself wondering why you are watching the trite film, but that's the beauty of it all. Not much on CGI the story doesn't have a chance in today's market, and it shows in their silly special effects sequences. With a time traveling telephone booth for their major prop, you can tell it's on a soundstage in front of a green screen. You'll find yourself laughing at the production of the low budget film instead of the verbal content of "excellent adventure." The film's only funny if you think the two stars are as goofy as they pretend to be. Both Reeves and Winter are perfect for the characters throwing out phrases that only teens from the 80's would think are cool. Much like Dumb and Dumber it's a never ending sight gag that true ‘believers' will enjoy. If you like films that tend to be wacky, with no rhyme or reason, then Bill & Ted's Excellent Adventure should fill your cup with absurd laughter. If Reeves and Winter could see into the future, I'm sure they wouldn't have taken the chance on the roles as it type cast the actors. With the successful Fast Times at Ridgemont High making Sean Penn a teen heartthrob, they probably felt they had nothing to lose. For Reeves he was able escape the stigma from the film and appears in over 60 titles including The Matrix, Speed and The Replacements. As for Winter he was not quite as lucky, getting only 12 gigs up to 2012 following the release of Bill & Ted. The disc does have some fair bonus features that were originally on the DVD when it was released. If you did not purchase the DVD, then they'll have more entertainment value. The Original Bill & Ted: In Conversation with Chris & Ed- features writers Chris Matheson and Ed Solomon talking about the film and their characters. Air Guitar Tutorial with Bjorn Turoque & The Rockness Monster- A tutorial on playing an air guitar by some major players. One Sweet and Sour Chinese Adventure To Go- A special treat, an episode from the TV animated Bill & Ted's Excellent Adventures series. The Video Quality has improved for the Blu-ray being remastered in High Definition. The movie spools out clear, clean with only a smidgeon of grain. Of course I would notice the grain as it's my job, but to the average Home Video viewer you'll probably never notice. If you already have the DVD of the film, you'll see a huge difference in the presentation between the two. The Audio Quality has been ramped up to DTS-HD with no obstruction or noise interference. Every word of dialogue, special sound effects and music can be blasted from speaker systems that accept the Master Audio 5.1 sound.